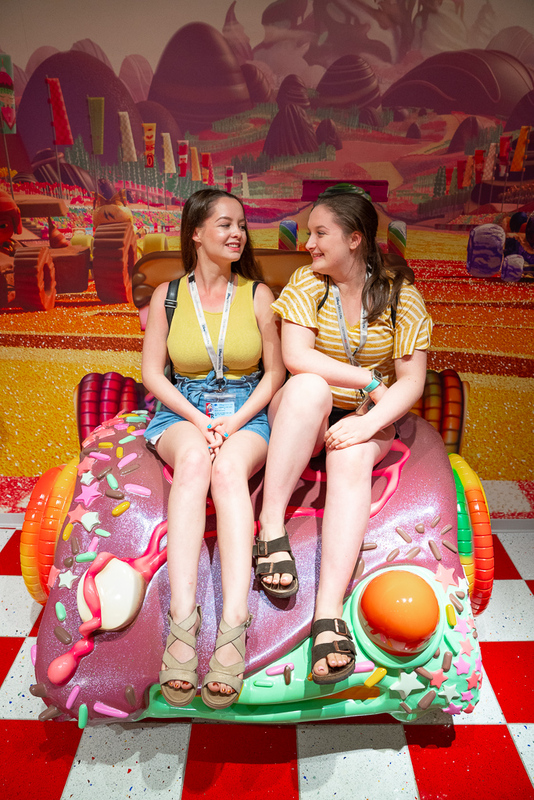 Disney Creator Days Part 2 + What Makes Disney Cruises Different – It's a Lovely Life! 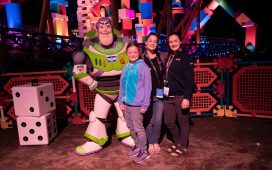 Have you ever thought, how can I possibly top the fun of a Disney World vacation? I thought that too, and then we added a Disney Cruise to our vacation and it was the best thing ever. Land and sea I tell you…that is where it is at! 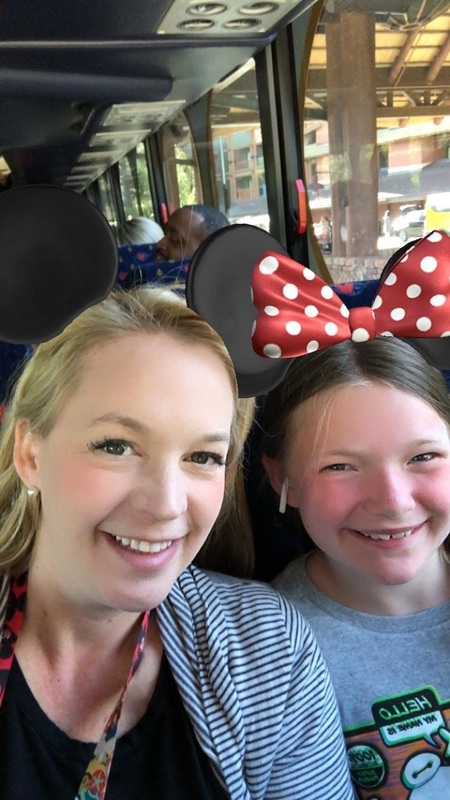 After our days exploring the parks at Disney World, we hopped onto the Disney bus for the second part of our hosted vacation for Disney Creator Days. Also, these ears are everything! You can find them as an Instagram filter! 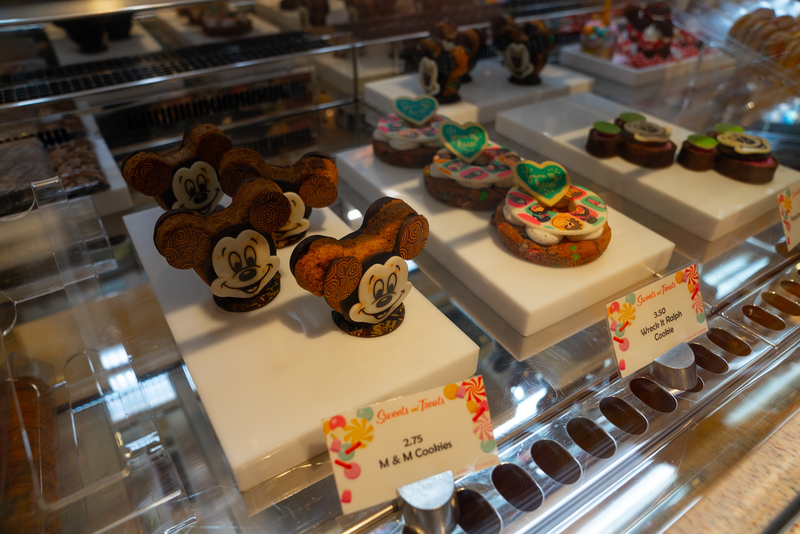 As we were on our way to the Disney Dream, I kept thinking, Disney Cruises are so different than other ones. 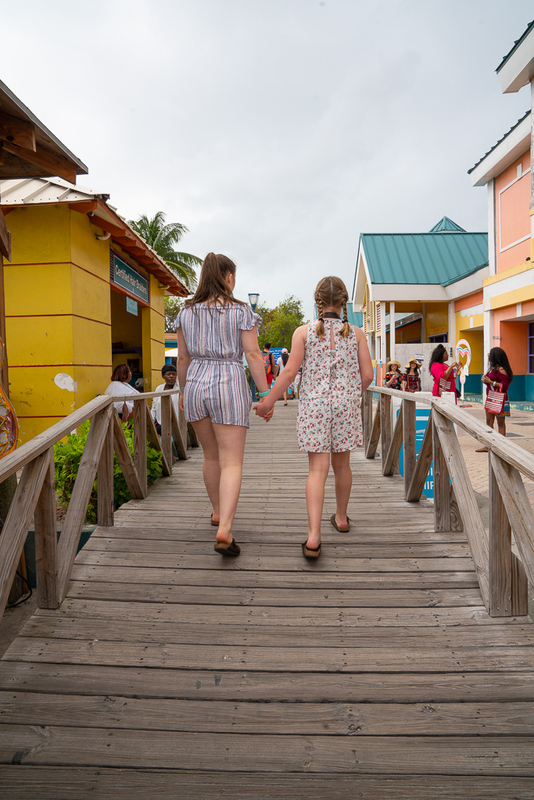 Having been on multiple different cruise lines, the differences are huge and knowing these differences would really help other vacationing families make sure they are sailing with the right cruise line. This was something that we thought a lot about before we went on a transatlantic cruise too. There are very few cruise lines I would trust that long of a cruise being that far from land. Yep, my brain goes there. With Disney, I have seen how well trained they are and know that they would be putting in the resources to make sure we were all well taken care of no matter what. I call that peace of mind, and it goes way beyond any issues that may come up. 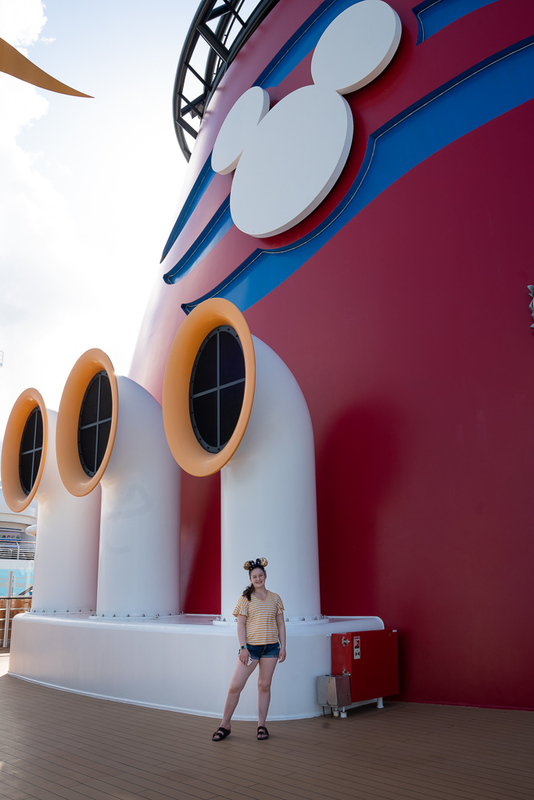 I'm really excited to share what makes a Disney Cruise different (and so much fun for the whole family). The room we stayed in was the Deluxe Family Oceanview Stateroom with Verandah. This is the same room that we have had for all of our Disney Cruises. For our transatlantic, we had two of these rooms that were side by side and for our next transatlantic we booked connecting ones. These are already oversized as is and can sleep 5 pretty comfortably, but I would still highly recommend getting 2 for a family of 4+, especially with teens. 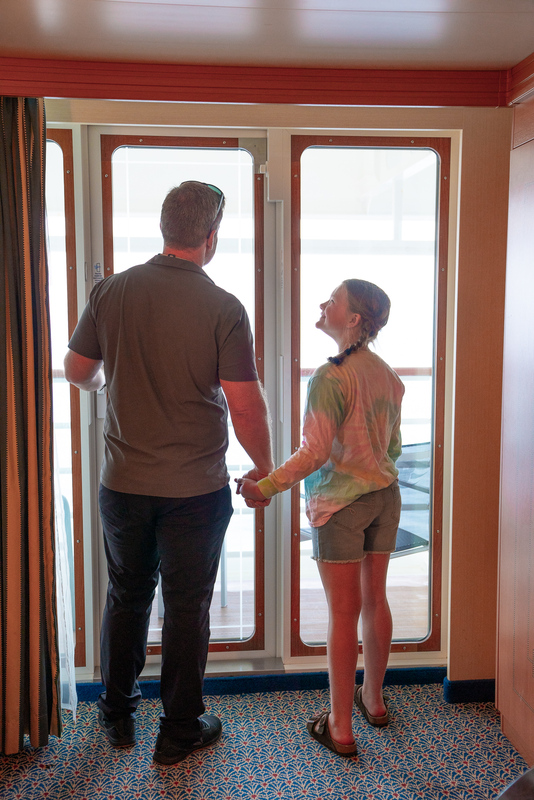 We shared more about the stateroom here. When we cruise. we always book the largest staterooms available. This includes suite and mini-suites. Disney is the only cruise line I don't feel we need a suite to enjoy the cruise. The family rooms that we book are equal in size to mini-suites. We also haven't felt the push to only book their concierge level rooms. On other cruise lines, we only book that level. but on Disney Cruises, you don't need to book into those level to have a truly remarkable vacation. Having said all that, we totally are planning on booking a concierge level room in the future because I have heard wonderful things about how that takes it to the next level, but also that it totally isn't a deal breaker for those that enjoy luxury travel. 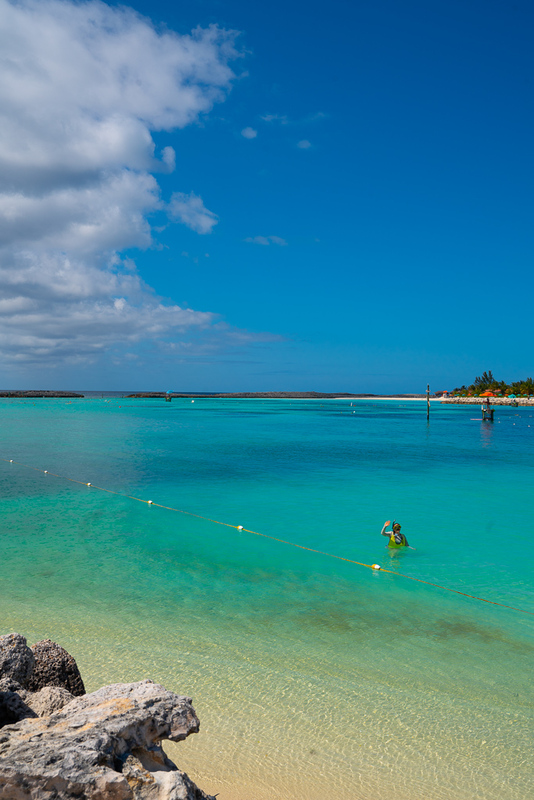 The weather won't have any effect on the fun during your cruise when you cruise with Disney. 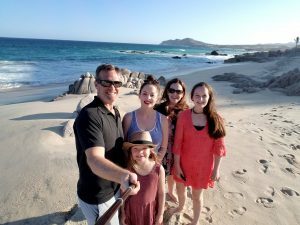 Having been on a Disney Cruise to Mexico, across the Atlantic and also to the Bahamas, I can say with certainty that rain, cool weather and everything in between didn't change any of the fun we had on any of our Disney Cruises. 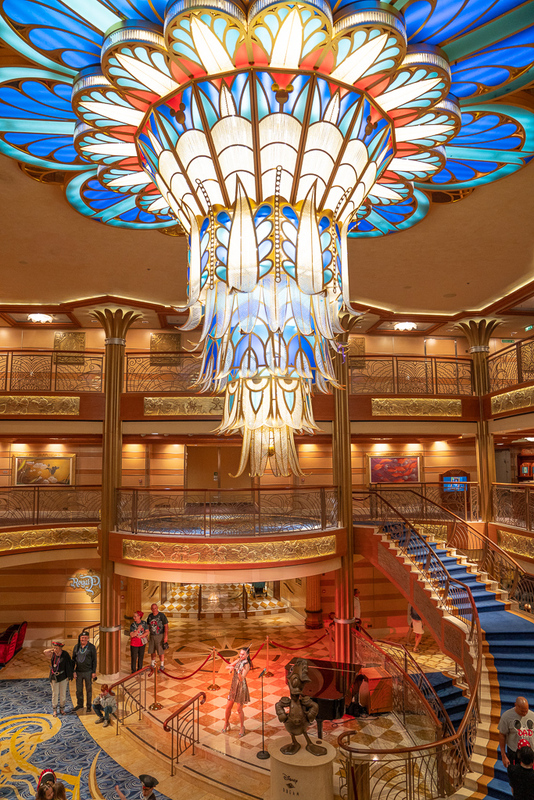 There is so much to do inside the ship that even if the weather is dreary outside, you won't even care. 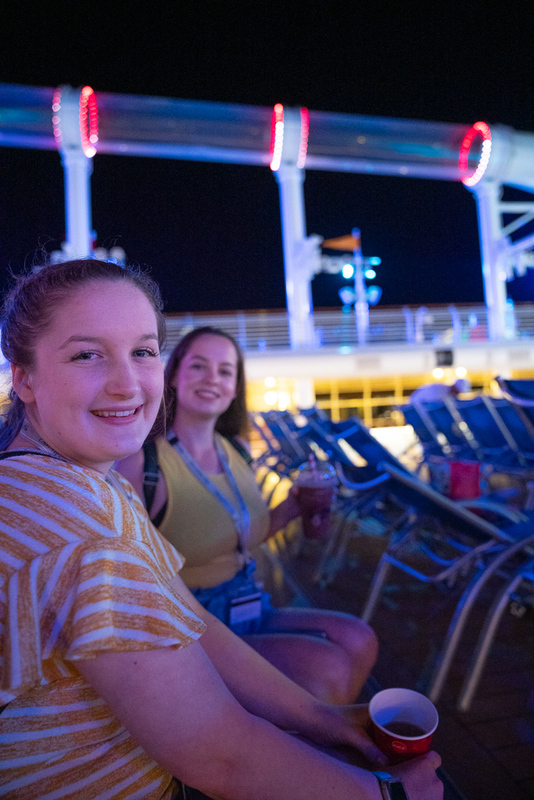 Of course, this being our first EVER warm weather cruise, we were so excited to sit out on the balcony and enjoy the warm air. 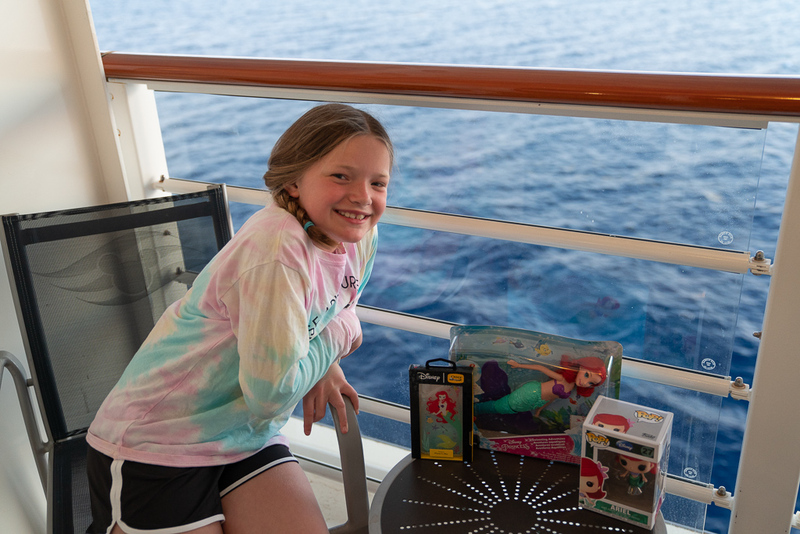 Emmy even took some toys celebrating the 30th anniversary of The Little Mermaid out onto our balcony to play with. 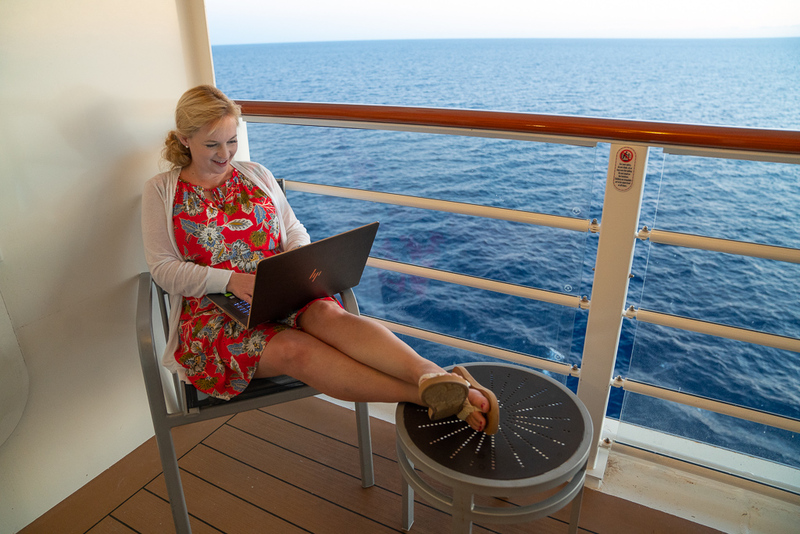 Yep… have laptop, will work anywhere… but seriously, isn't this the best “office” ever? 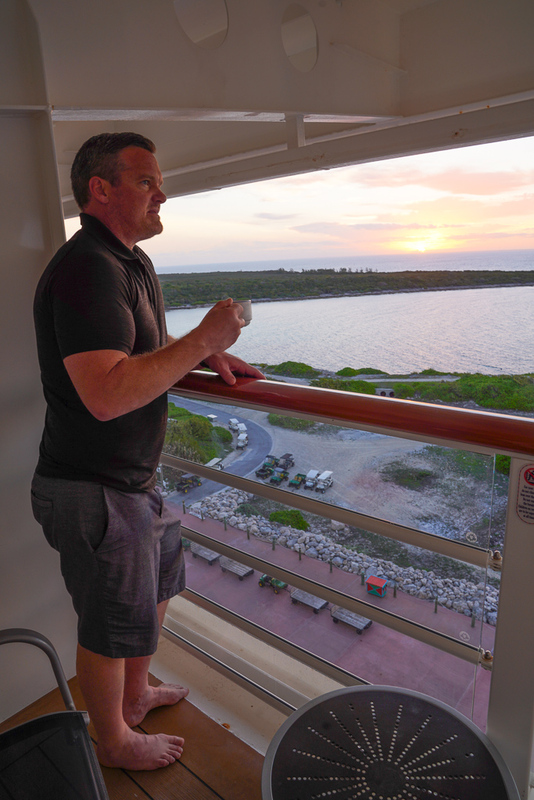 More visual reasons that we LOVED having a veranda… morning coffee never tasted this good! And we had some very interesting sea creatures waiting for us every night! 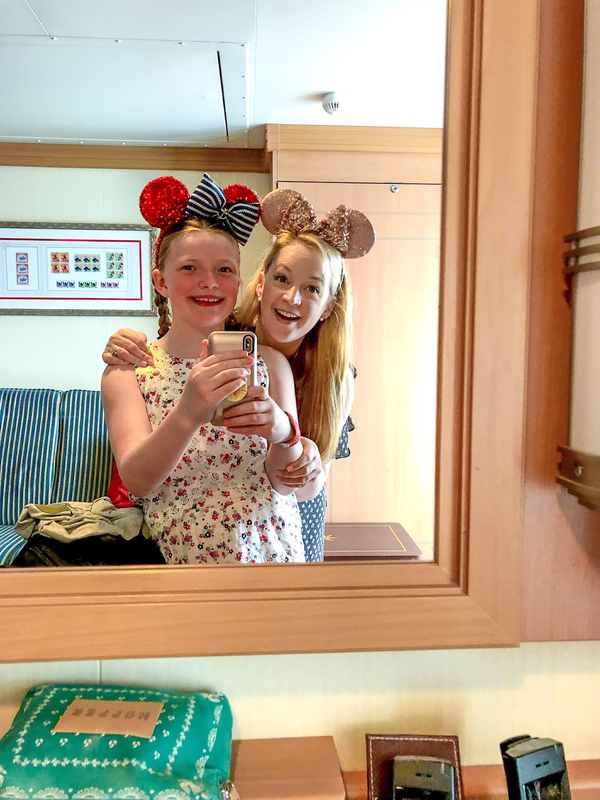 If you are into ears, and let's be honest… I totally am, the ones Emmy is wearing are new and can only be bought on Disney Cruise ships. My ears are also new and are now available at Disney World! 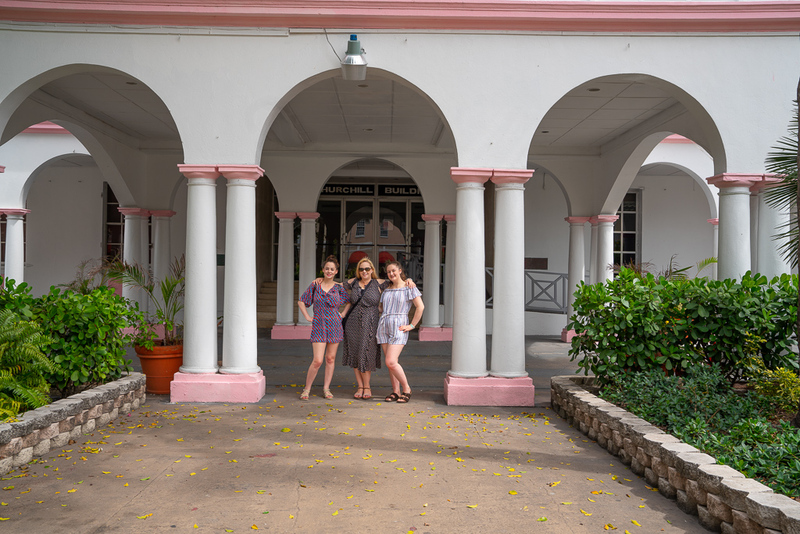 We were also able to see an inside room and although I will always be a veranda girl, I have to say that I was really impressed with the inside rooms. The one we saw had a magic window where the outside was projected inside so it felt like an actual window. The use of space was also really well done and they felt BIG. I know some people only use their room to sleep and prefer to be up on the decks instead of on their own veranda, so if you are one of those people, I wouldn't hesitate to book an inside room. It is also a great way to stretch your budget. 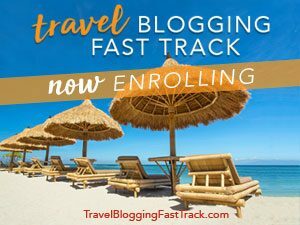 Let's talk Disney Cruise Ships. 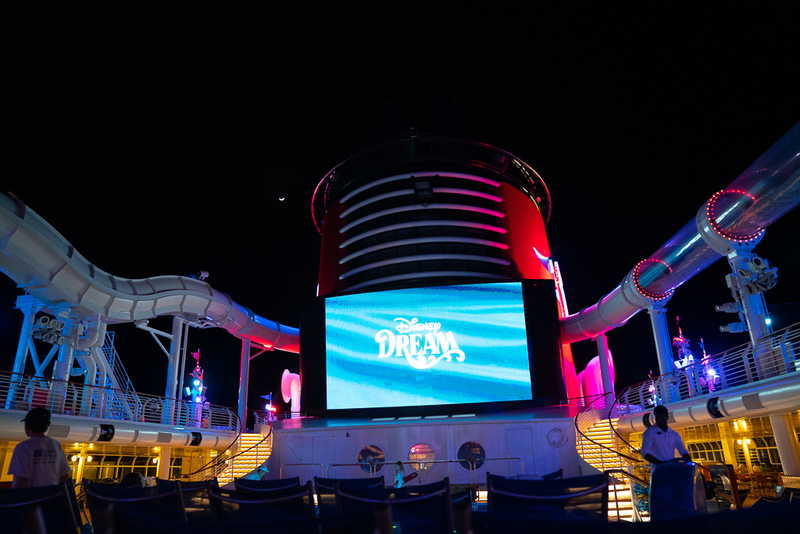 This was our first time on the Dream, and it was a total DREAM! There was a huge water slide, a splash pad, kids and teen clubs, restaurants and so much more! Ash loved hanging out with the other teens in the Mickey pool and Em found Pepe's room! The whole ship is absolutely gorgeous, but you already knew that, right? 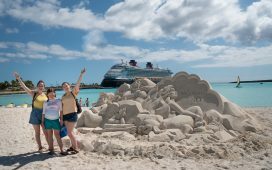 Here is the thing about Disney Cruises. 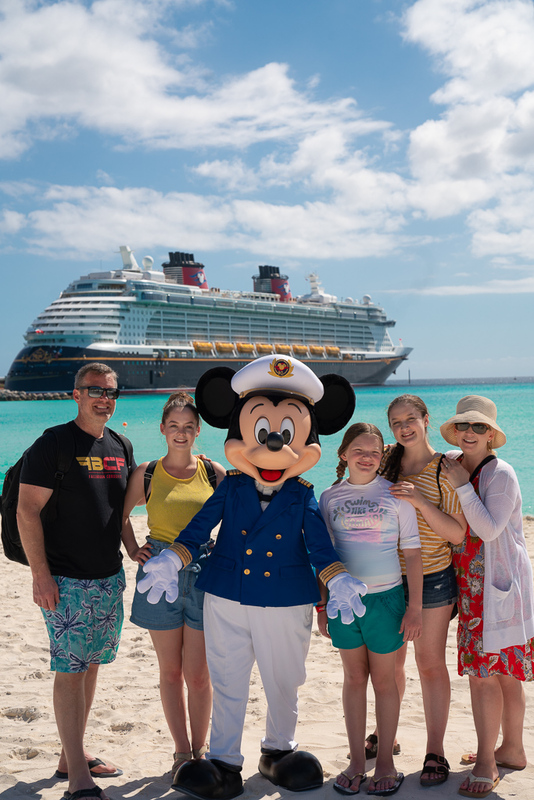 You will never be able to do everything, see everything, eat everything and enjoy the whole Disney Cruise experience during one cruise. It is just not possible. And that is the way Disney wants it to be. They want you to have so much to enjoy that you HAVE to book another cruise. And you know what… you will! 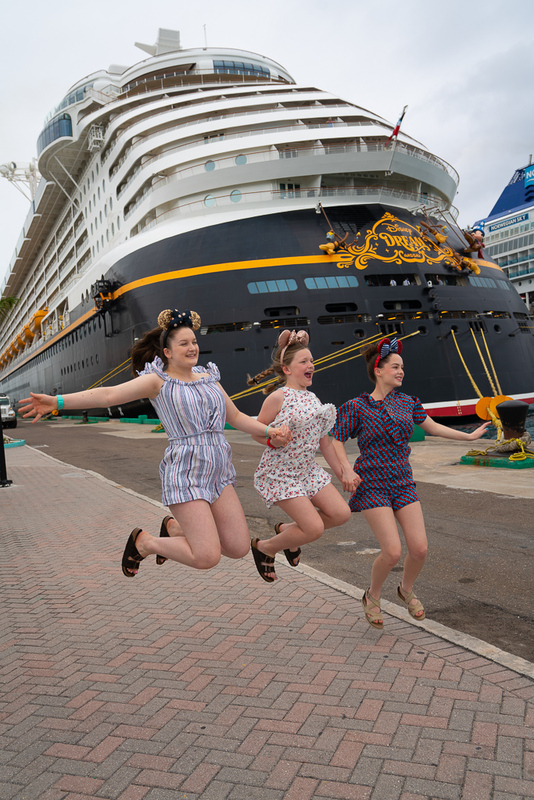 Your first Disney Cruise is the gateway to some of the best times you will have! 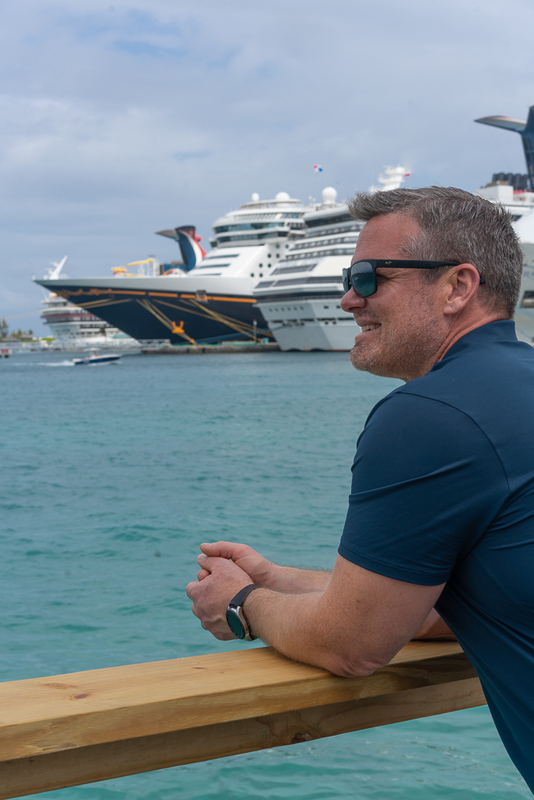 We have been on the Disney Magic, Disney Dream, Disney Wonder and the only one missing is the Disney Fantasy… I'll get working on that… but they are all very similar. 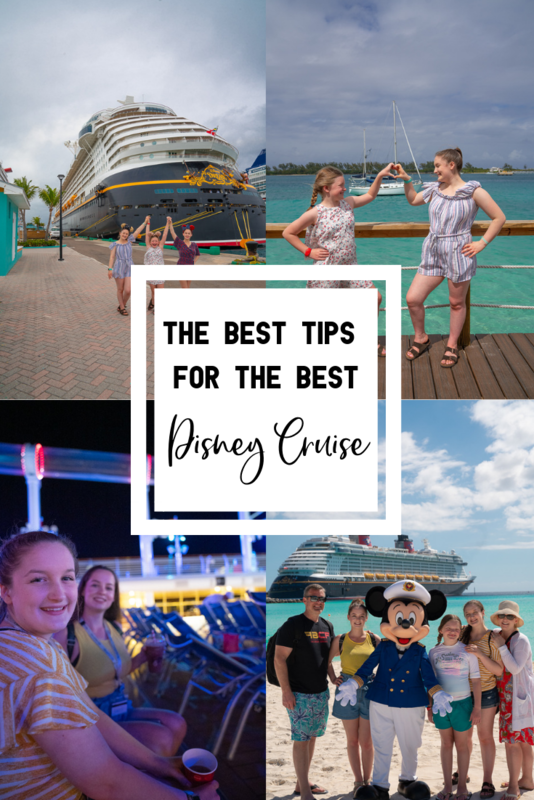 I know the really dedicated Disney Cruisers would be able to say all the ways that the ships are different, but for those of us that just love Disney and cruising, you can't go wrong on any of their ships. They are all great. 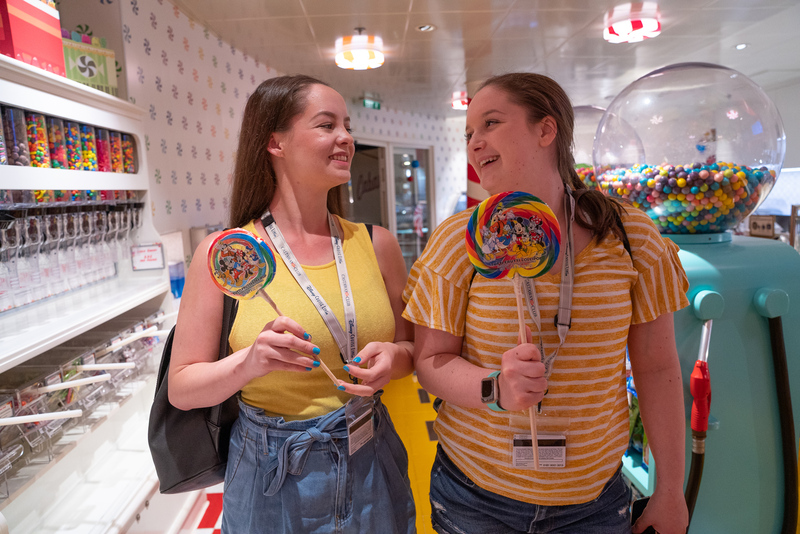 Something that we really noticed that was different on all the Disney Ships vs. other cruises, is that there is non-stop fun for the whole family. 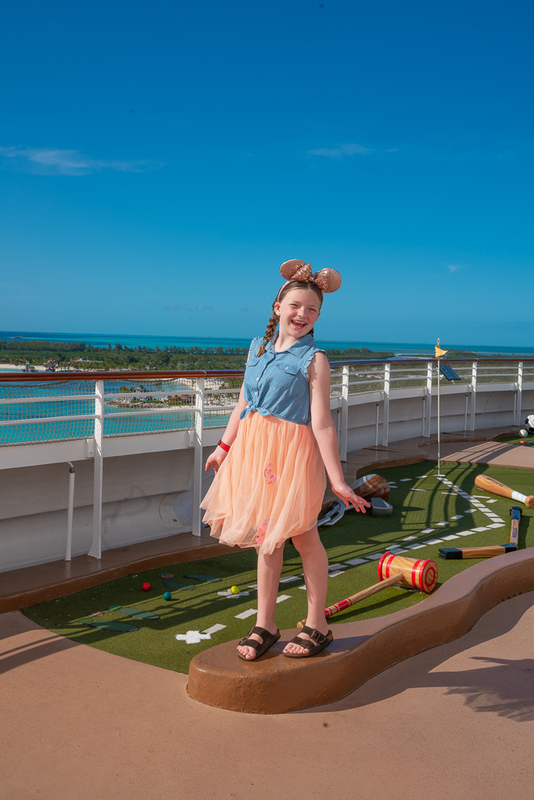 Disney has different kids clubs and drop off care for kids of all ages that are on the ship. But it doesn't stop there. They also have the 18/20 Society for those that are 18-20+ and this one thing makes all the difference. 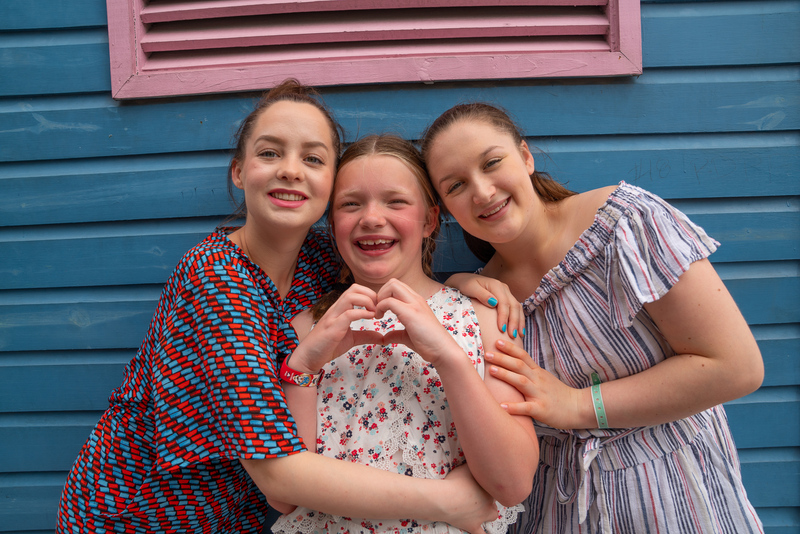 The older teens are often left out of the friend fun, especially if they are on the shy side because there are not clubs specifically for them. Disney recognized this and created the ultimate solution with its 18/20 Society. 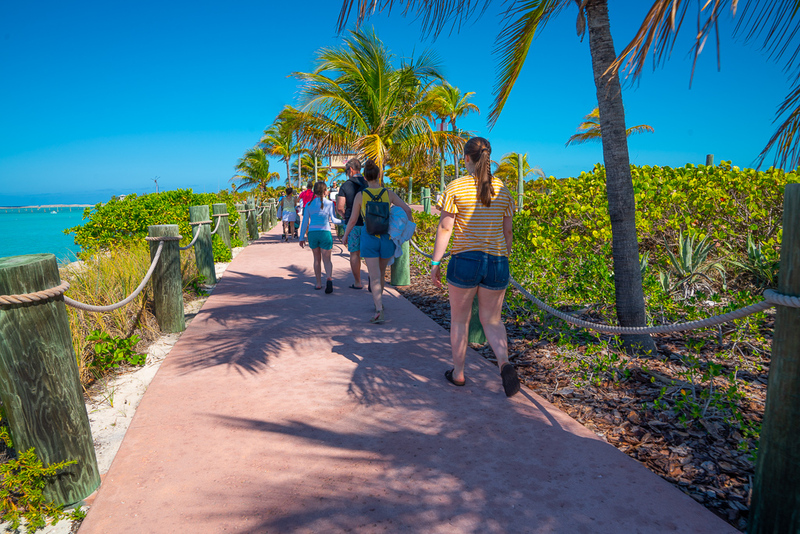 Every day of the cruise in the daily schedule called the Navigator, they list all the activities for the day and it including those for all the different age groups. The first day is always the most important because the Disney Club leaders lead ice breakers. 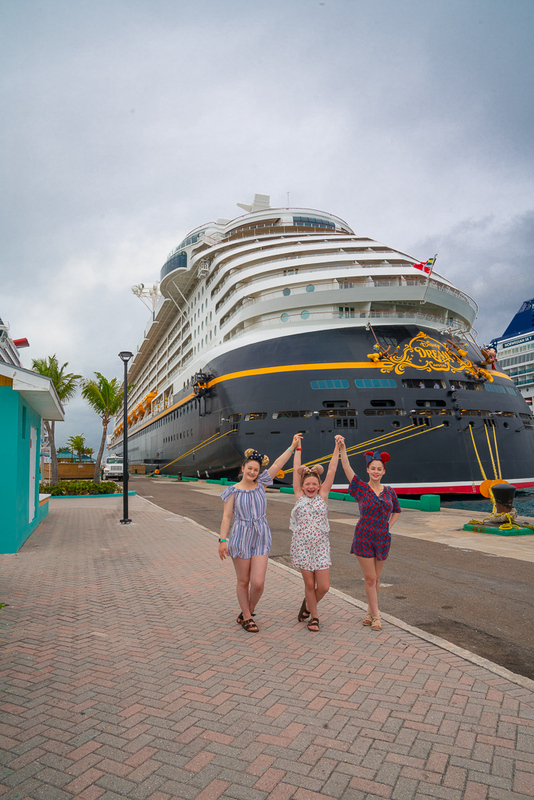 My girls all end up leaving the ship at the end with so many new friends from all over the world. These clubs and the fact that they have one for the 18+ is reason alone to choose Disney. Another thing that really sets Disney apart is the entertainment. The shows are Broadway quality reworked to fit on a cruise ship. The girls always make a point of going to see all the shows. Pete and I normally use that time to go to the adult only dinners (more on that below) or to see a movie. Disney shows any Disney movie that is in the theaters back home on the ship too… and it is included in the price you pay. 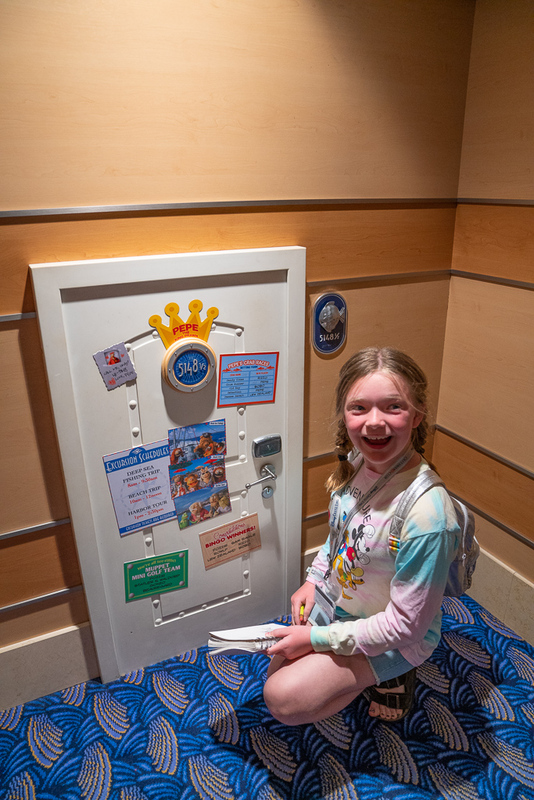 We also love that they have a huge collection of Disney movies that you can watch in your stateroom. Sometimes I just want to hang out on our balcony, order a room service snack, or get a latte and watch a movie. 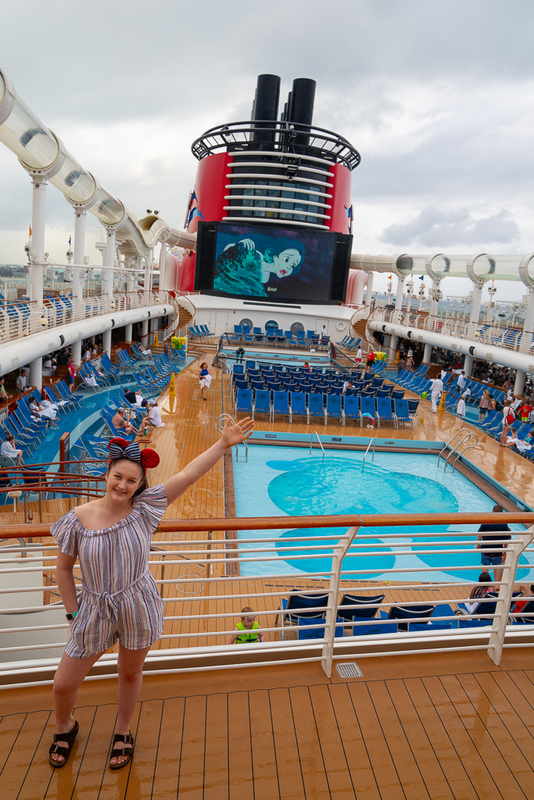 I have never run out of things to watch on a Disney Cruise. The girls have also never said to me they were bored. It just can't happen with DCL. 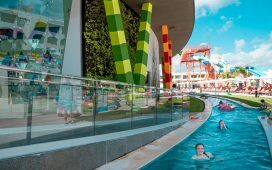 There are crafts, character meetings, food and alcohol tastings, swimming, splash pads, water slide fun, food, organized activities, mini golf, sports courts and so much more. There is always something to do. One thing that Disney Cruises is not that others are, is non stop extra charges. On a Disney Cruise, you could just hop on and not pay for any extras and still have an amazing time. Since most non-alcoholic drinks are included, you won't have to pay for a drink package or keep telling the kids no when they ask for a soda. 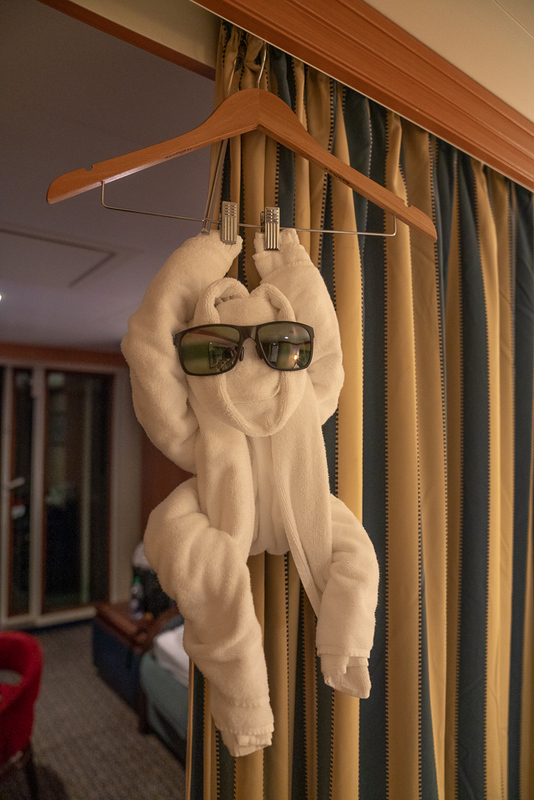 You don't realize how much this adds to the enjoyment of your cruise, but it really does. Of course, we always want to spend more on extra stuff because there are some really great options. 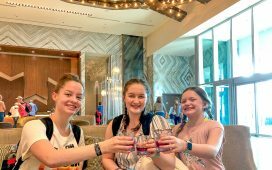 We splurge on spa treatments, specialty coffee (get the punch card for savings), excursions (especially on Castaway Cay, more below), breakfast and lunch in PALO (more below) and the non-alcoholic sparkling apple cider. Yes, I totally just said apple cider. I have no idea why I love it so much on the ships, but it is sooo good. Not too sweet and it is so fun to toast with when we are sailing away! Also, I'm not worried that I just let some big secret out. Please don't drink all the apple cider! Ha! 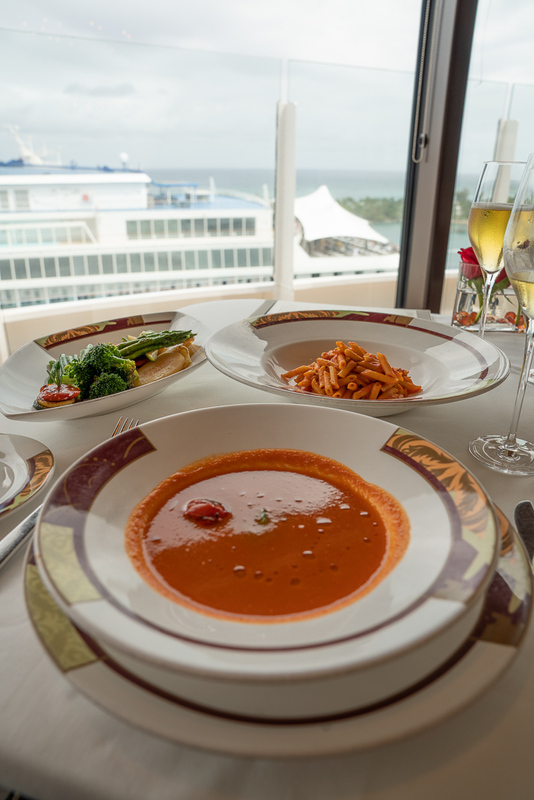 The food on the Disney Cruise ships is some of, if not the best you will find on a ship. If you have dietary restrictions know that you will be taken care of. 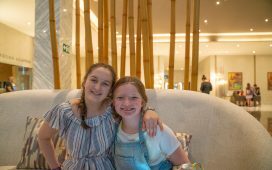 We are vegan and vegetarian, and we were beyond happy with the available options and how they always went above and beyond for us. 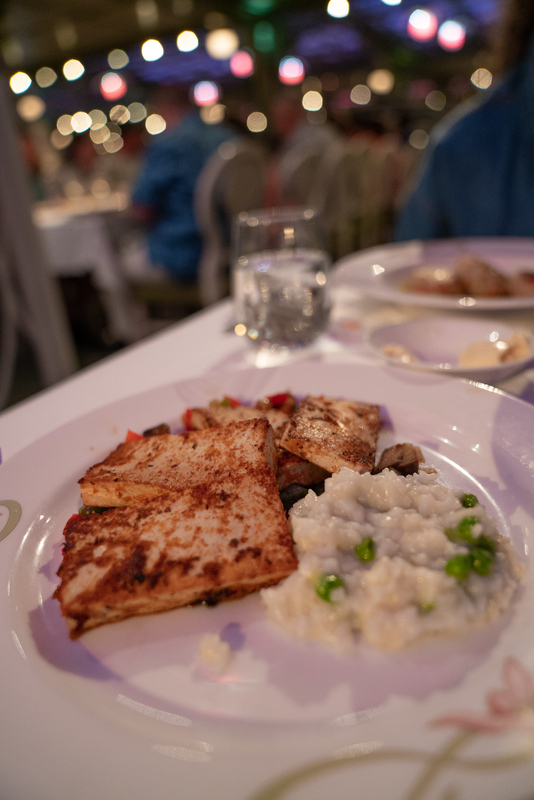 On this last cruise, I was craving tofu and risotto and they made it special for me multiple times. Just thinking about it makes me want it again! 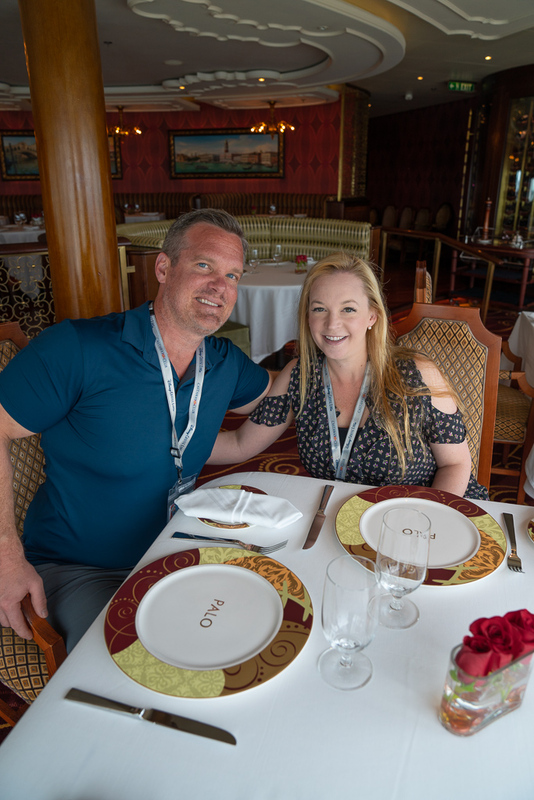 What we love best about dining on Disney Cruises is that they have a special type of meal service where you move to the different dining rooms each night and your wait staff comes with you. That means that each night it is like dining with friends that already know all of your personal favorites. Before we would even sit down at dinner we would have our favorite drinks waiting for us. 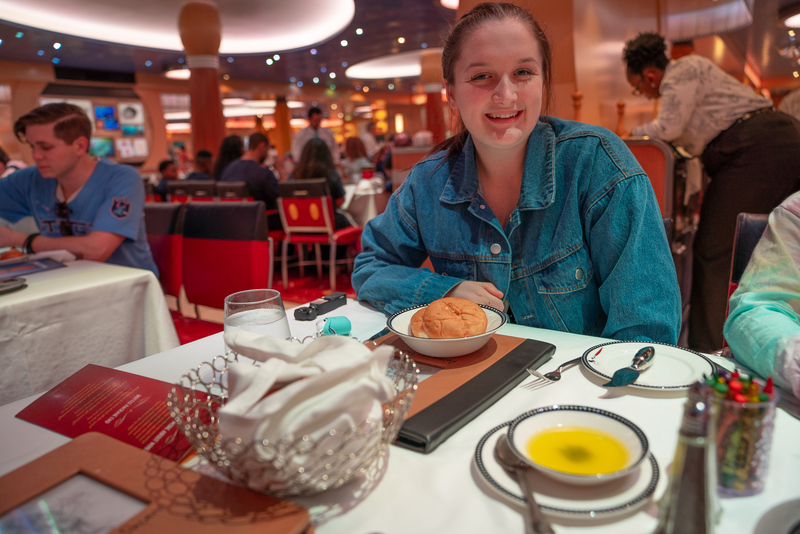 Emmy is a big eater and loved Disney mac n' cheese so she always has it for lunch and dinner, but for dinner, she normally will eat 2 plates of it. After we ordered her a second one on the first night, she was magically served a second dish without us ever asking on the subsequent nights. When we were on the trans-Atlantic cruise with my parents, my mom mentioned how fresh the fruit was and how much she enjoyed it. It was a casual mention and just to the rest of us at the table. 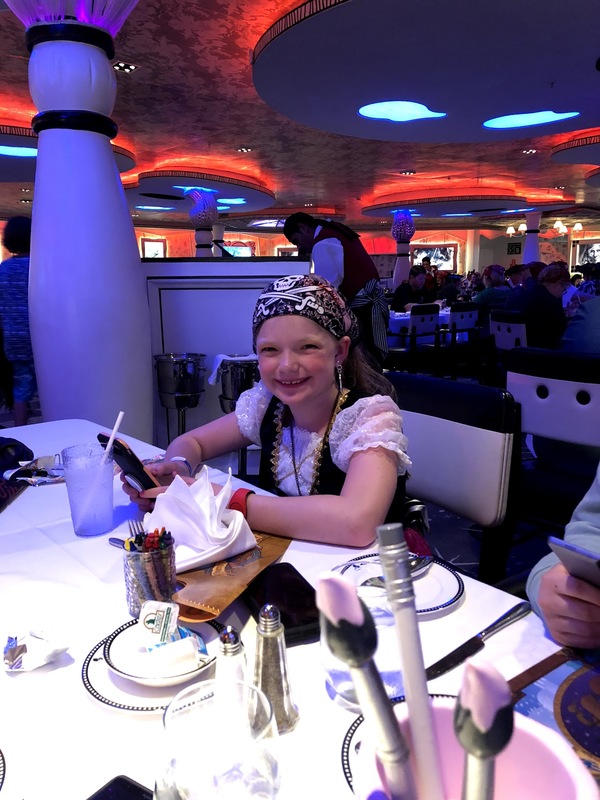 As she was leaving that night and all the nights for the rest of the cruise, she was surprised with a large fruit plate to take back to her stateroom to eat after dinner. Those little touches are what makes Disney so different. We have also had kids club leaders check in on us at dinner to see if Emmy was done eating so that we could have a less rushed dinner. Also, the kids are always served first so there are no hangry kiddos! 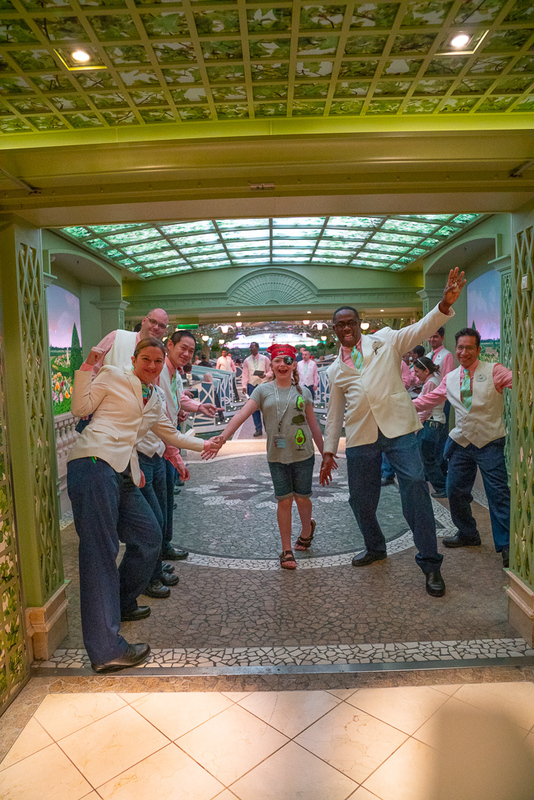 The waiters and their assistants can also be seen cutting up food for the little ones so that the parents can eat… and they are all the sweetest, most entertaining people. 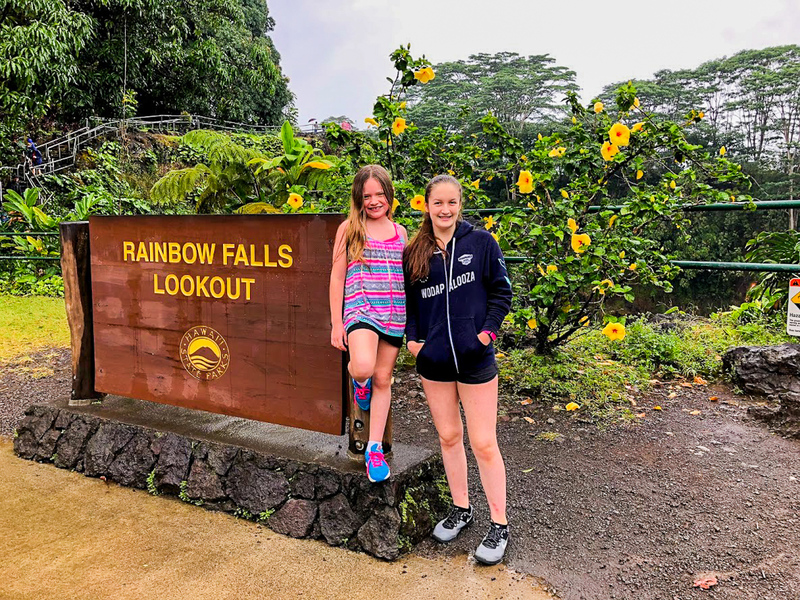 I've shared before about our Adventures By Disney vacations and how the “Disney” in those is more in the exceptional care and planning from the tour leaders, and not so much from the Mickey Mouse and other Disney-ness you might think. But on a Disney Cruise ship, it is all Disney all the time and a real extension of the movies, theme parks and that sort of thing. But what if you love the Disney experience, but aren't looking to hang out with Mickey all the time? 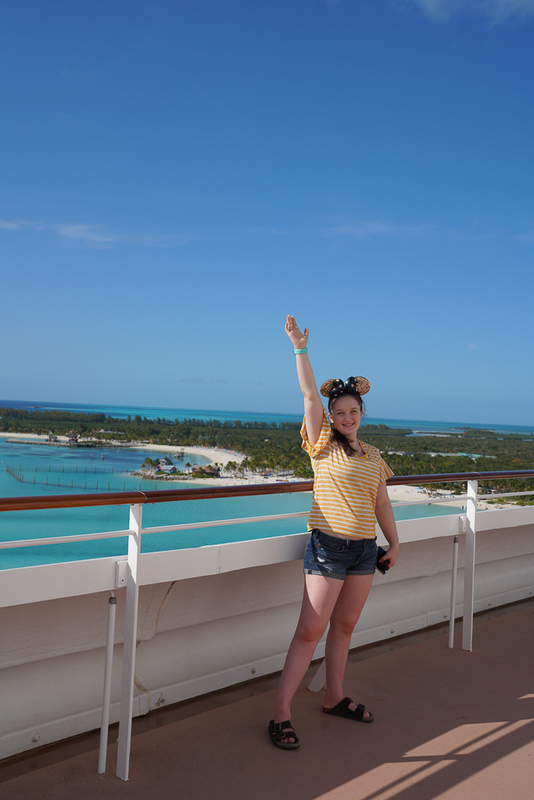 I have found that there are huge Disney fans that go on Disney Cruises and those that aren't quite that dedicated, but know that Disney means quality and that is why they chose Disney. And depending on the timing of the cruise, and length, there might not even be that many kids on the ship. For our 2 night Disney Halloween Cruise and this last 3 night Bahamas Cruise, there were a lot of kids on the ships. 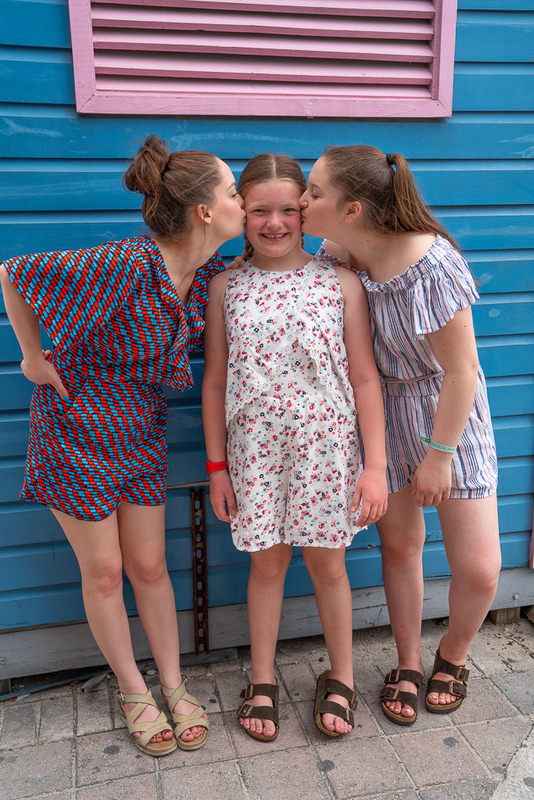 But on our trans-Atlantic one, there was just enough for the kids to have other kids to hang out with, but it was mostly adults. 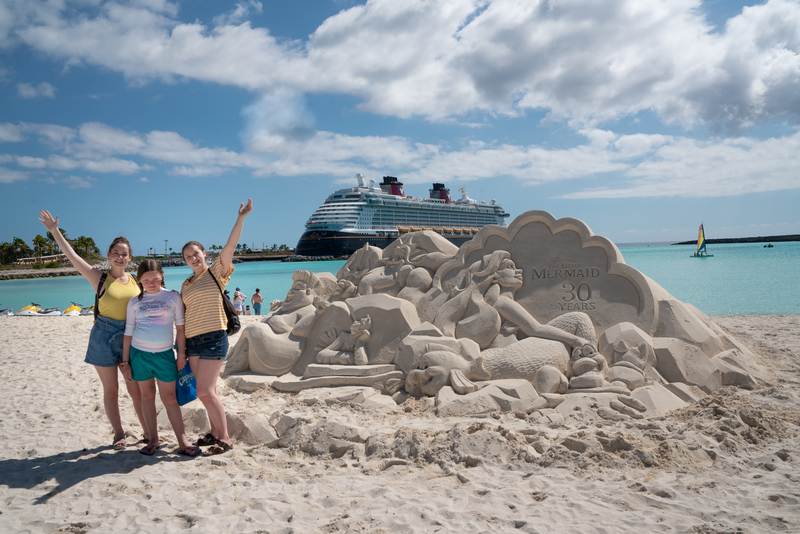 Speaking of special cruises, Disney does it right with all of the exceptional experiences and themes available. There are Christmas themed ones, Halloween, Star Wars and more. Even if you go on the same route multiple times, you can have a totally different cruise experience by choosing one with a different theme! Not going to gloss over this point either. Emmy did not want to hang out with us as much as we wanted her to. She had one thing on her mind. Kids Club. So while she was off living her best Disney life, the rest of us did more grown-up stuff, like eat pizza (they have vegan pizza!!!! 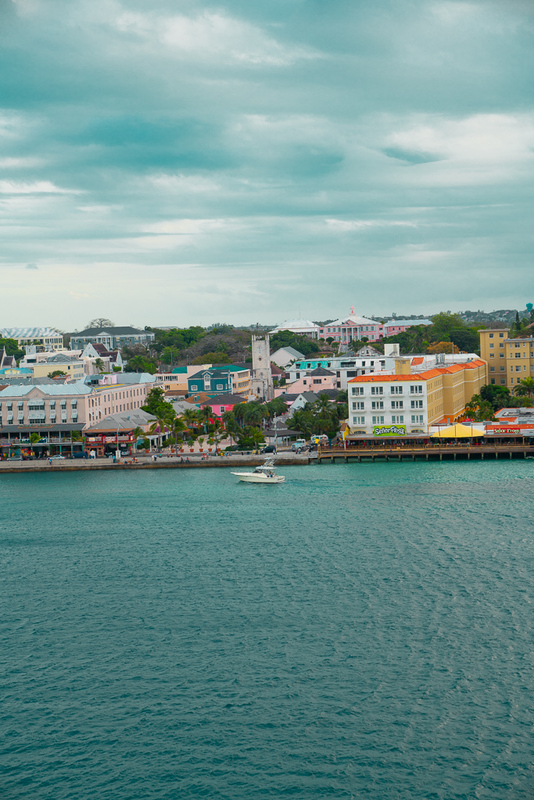 ), sip vegan milkshakes and watch movies under the stars in the Bahamas. Okay so that isn't exactly an adult thing, but man was it fun! 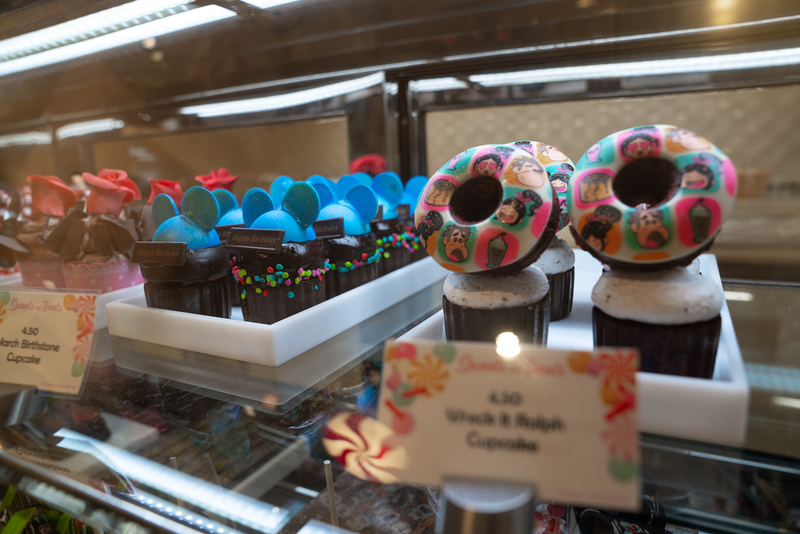 I had mentioned PALO before, and I have a whole write up for you here, but this is one of those things that really sets Disney apart from the rest. 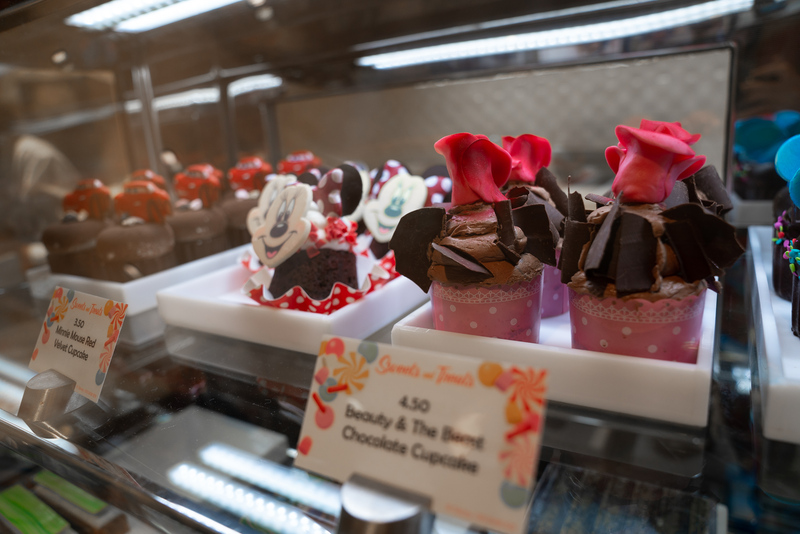 Although you really don't have to pay any additional charge for a top-notch meal on your Disney Dream. I'm going to insist that you have at least one dinner and one brunch at Palo. The food is out of this world amazing and here is why you need to do it. Quick note- make reservations for PALO right away. It does get booked up. Also, it is an 18+ restaurant and there is an enforced dress code. If you are traveling with little ones, this would be a great time for them to go to the nursery or kids club. I mentioned that you travel to different dining rooms each night. We really loved this, and dinner felt more like dinner theater than just dinner. I'm not going to drop too many secrets here other than to say, don't ever skip dinner! 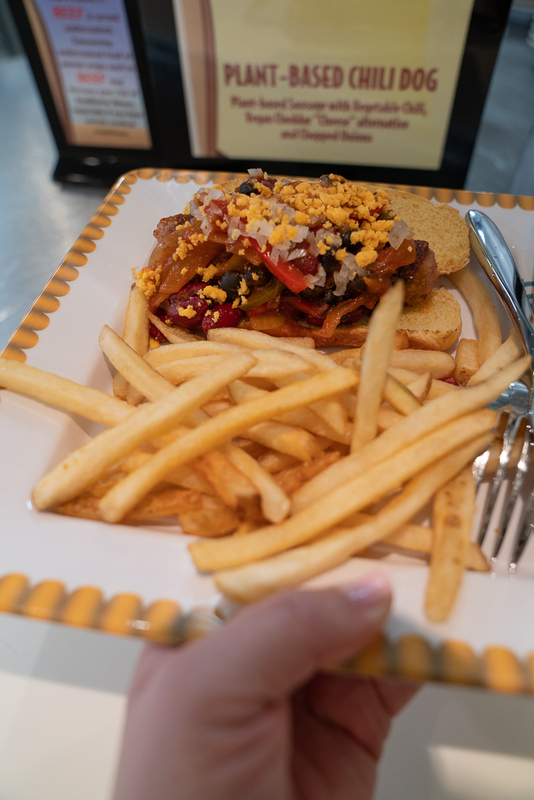 For our fellow vegans, Disney Cruises are all adding more plant-based options and I nearly fell over when I saw a vegan chili dog at one of the fast service restaurants. It was absolutely delicious! I was also told that they were just starting to roll out a new breakfast option where you can custom order a vegan egg scramble. They already have vegan (and gluten-free) pancakes and waffles to go with their breakfast potatoes. I could go on and on about the food, but it really is great! 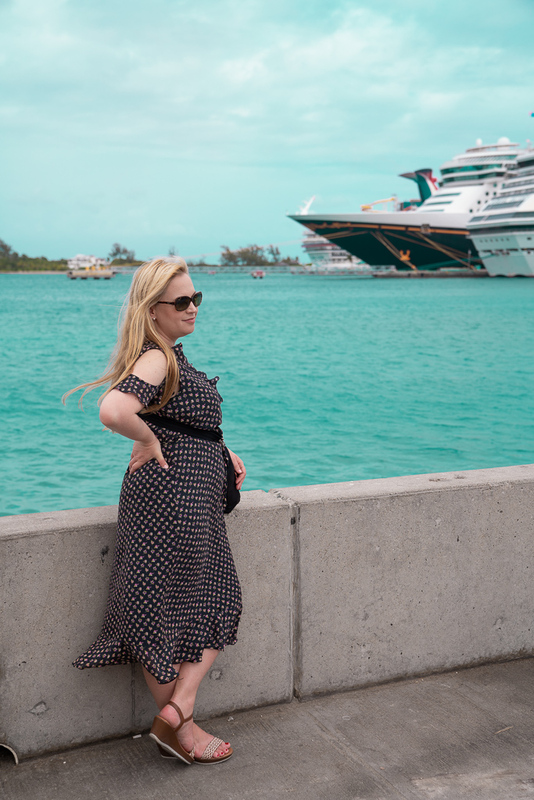 You won't believe this, but this cruise took us to the Bahamas for the first time ever! 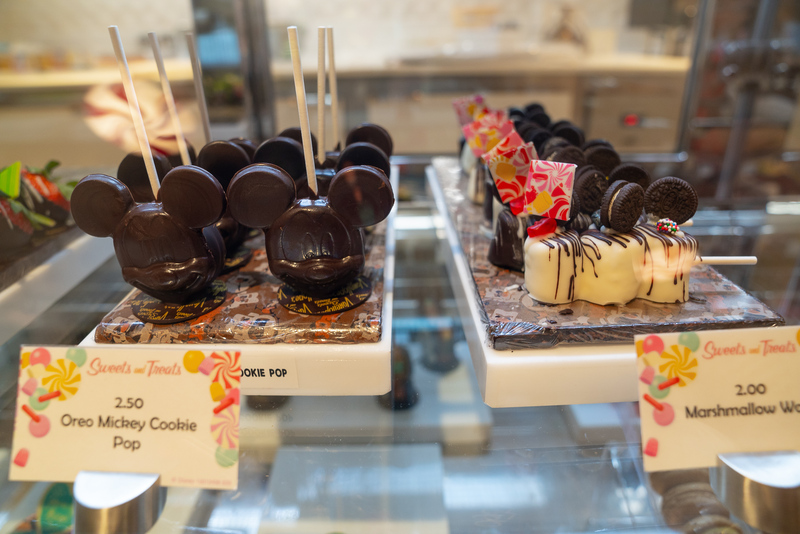 The Disney difference when it comes to ports on the ship is that Disney invests in the guest experience as much as possible. This means we have always felt that we had premier docking spots. The Bahamas was no different. 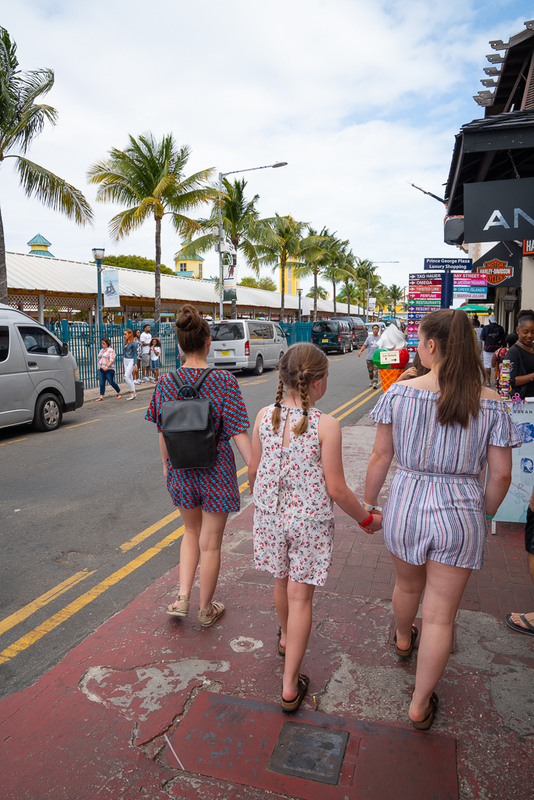 We quickly got off the ship and created our own walking and shopping tour. 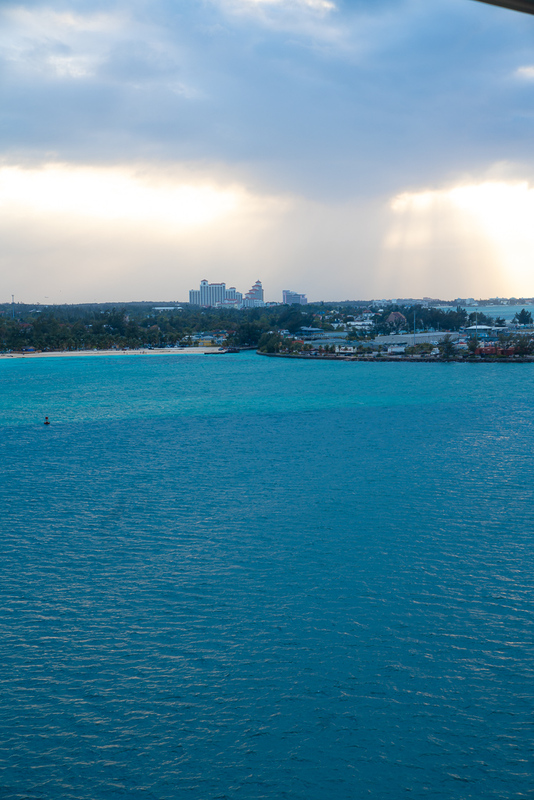 The Bahamas were stunning. The color of the water, the warm breezes… just perfect! Later that night we had Pirate Night on the ship! 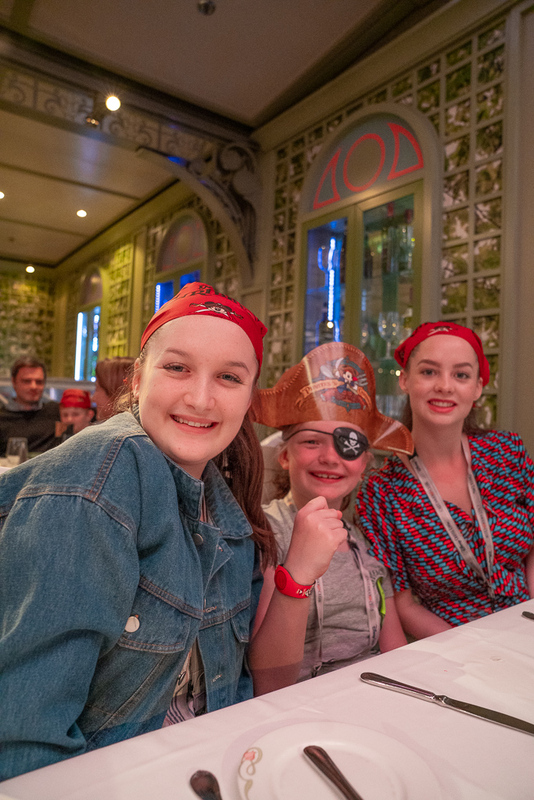 I would love to tell you that I carefully planned all of our outfits to be the epitome of pirate fashion, but you know that is totally not me. 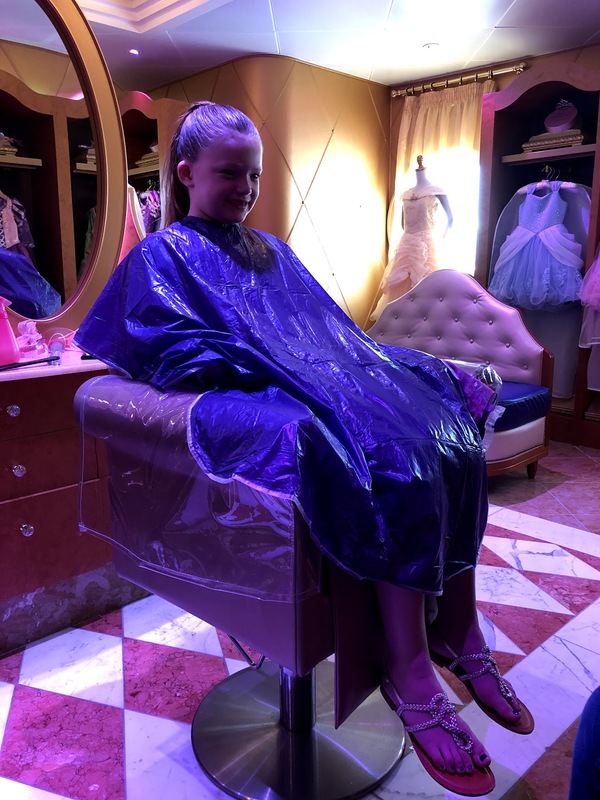 On our transatlantic cruise, I took Emmy to the Bibbidi Bobbidi Boutique twice. Once for Pirate night and once for a princess transformation before we had tea. This was the best idea and totally took the stress off me. But have no fear, if you are like me and not Pinterest perfect, Disney has just enough pirate for you to get all festive. Our room host had these fun things for us the night before. This is also another example of how Disney does it differently and also how your fellow guests are. We saw a lot of full-on pirate garb and then just as many as those like us that were a little pirated out. Either way is a-okay and Disney has your back if you want to get a little festive at the last minute. 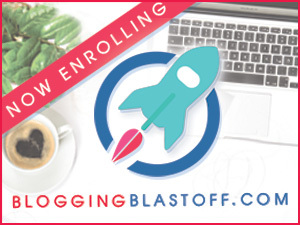 As far as the BBB goes, make sure to make your kiddo a reservation asap! This was my beloved tofu and risotto! Pirate night also means deck party and fireworks. I'm not a deck party person so I always wait a bit and make an appearance just in time for the fireworks. Man are they pretty spectacular. 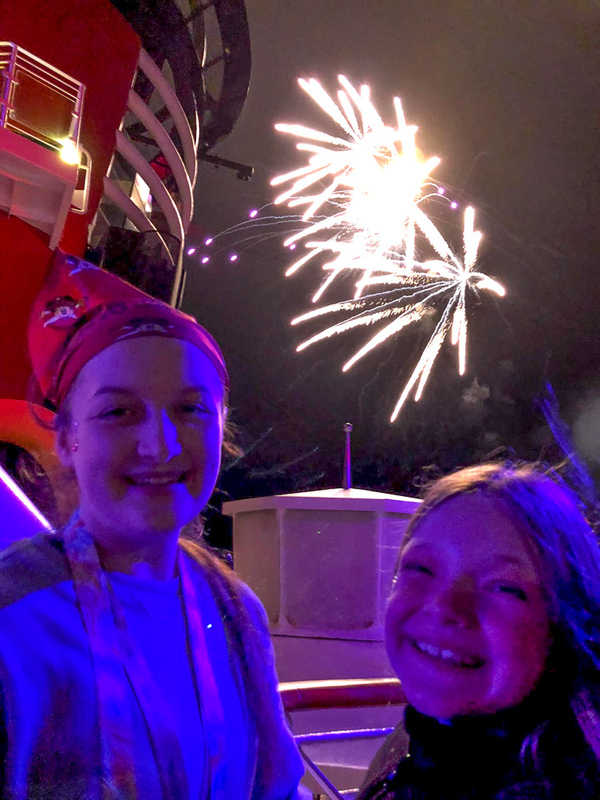 Also, Disney is the only cruise line with firework over the ocean! This is one of the few additional cost places and the prices are very reasonable. I'm embarrassed to admit that we completely ran out of stomach space to really enjoy this place as much as we planned to. 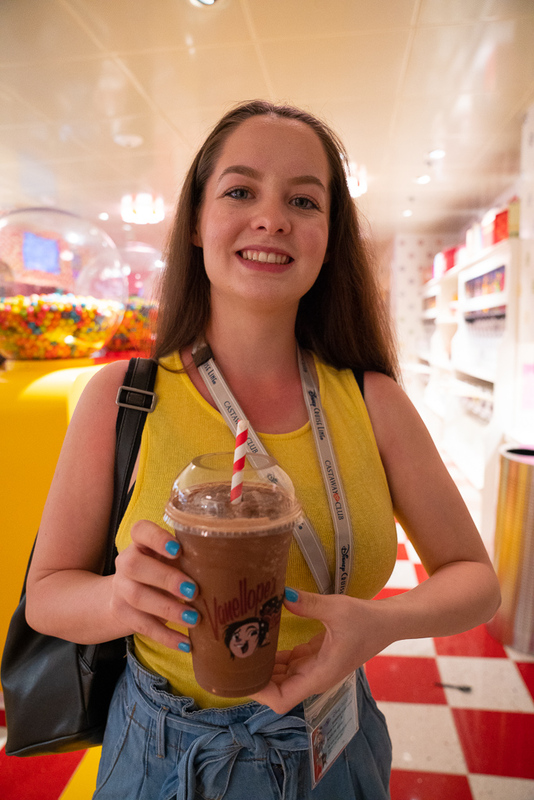 They have HUGE ice cream sundaes, candy, shakes, cupcakes and more. Also, vegan options! Plus it is just so cute! 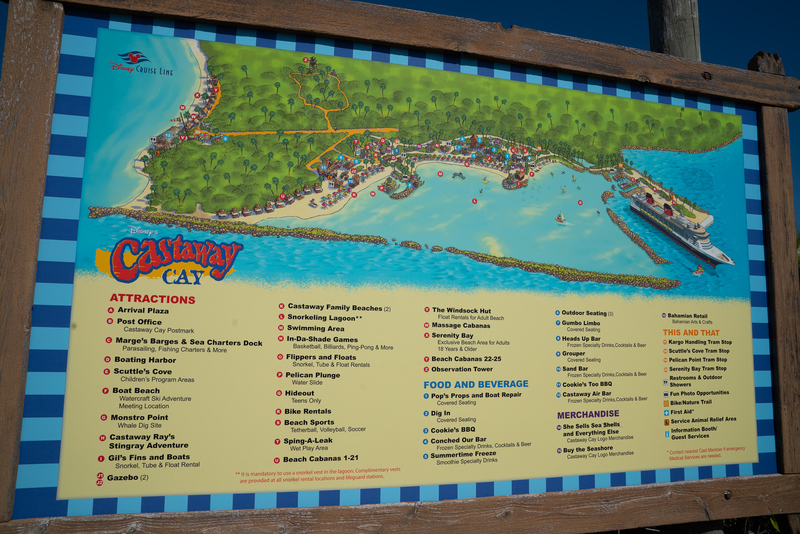 No review of Disney Cruises is complete without talking about Castaway Cay. First of all, I totally got bad intel on how to pronounce it. I say “kay” multiple times and then found out it is “key”. Like the Florida Keys. So when you watch the video, feel free to giggle. Now that that is out of the way… I feel like my whole life up until this point was a huge lie. Like everyone was keeping a huge secret from me. 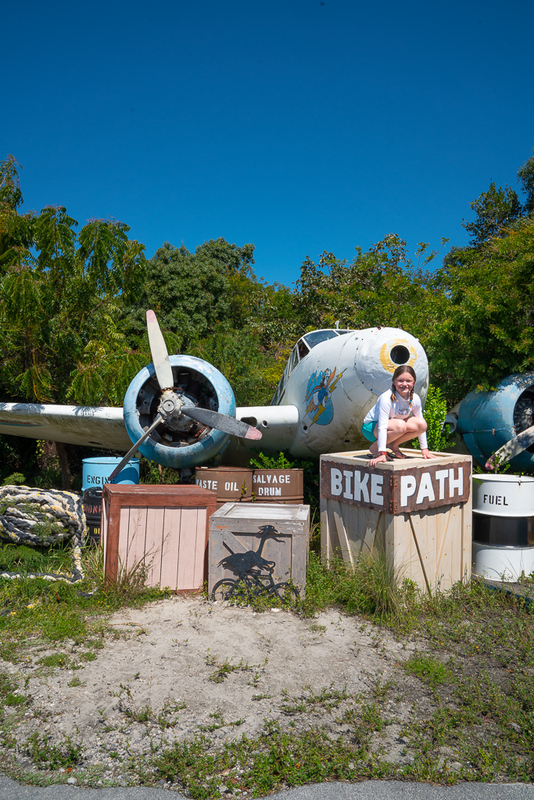 If you want one big takeaway on what makes Disney Cruises special… it is this here place. Holy Cow… I never wanted to leave. None of us did. 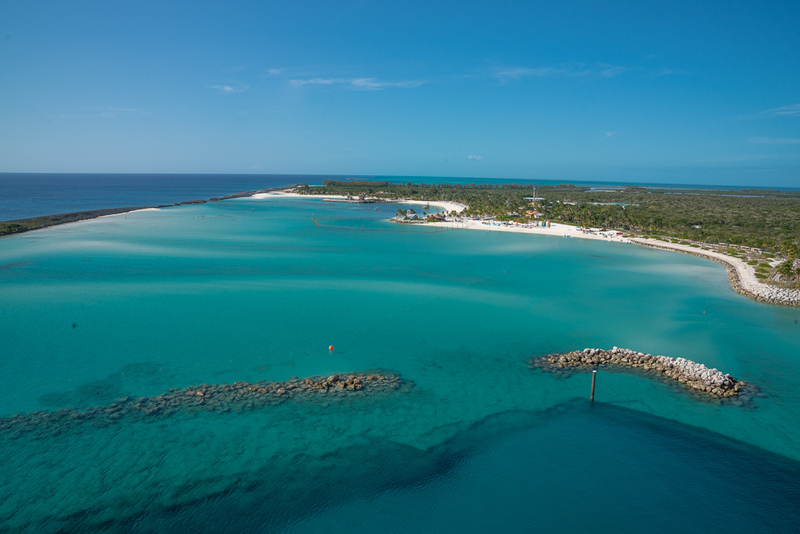 As we cruised into Disney's private island, we were all speechless. How could the water be so blue? How could the sand be so soft and white? Why did nobody spill the beans on just how amazing this place was? I think they were all trying to keep it a secret! 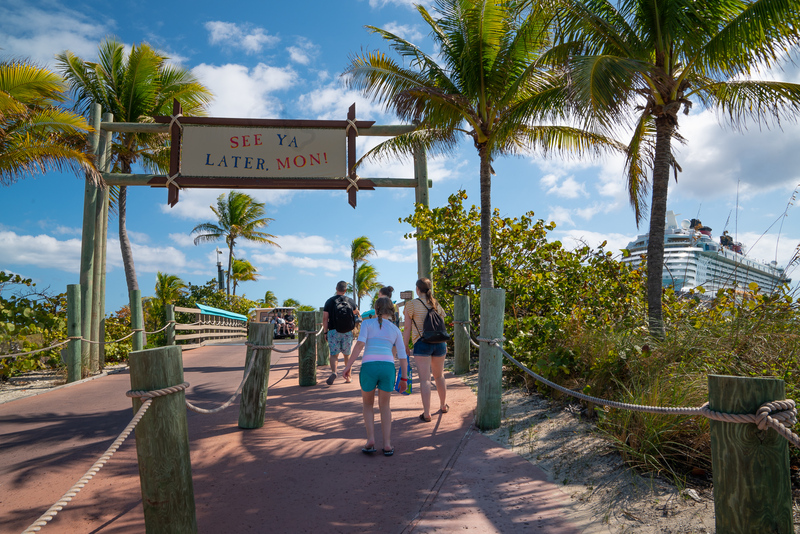 When you get off the ship you are immediately greeted and shown the way to the beach areas. 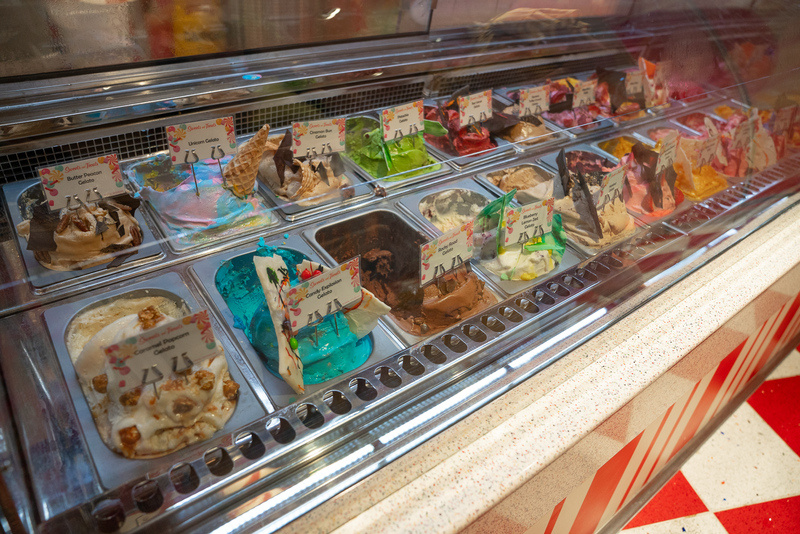 There are adults only places, snorkeling places, places to get drinks, snacks, ice cream… you name it! 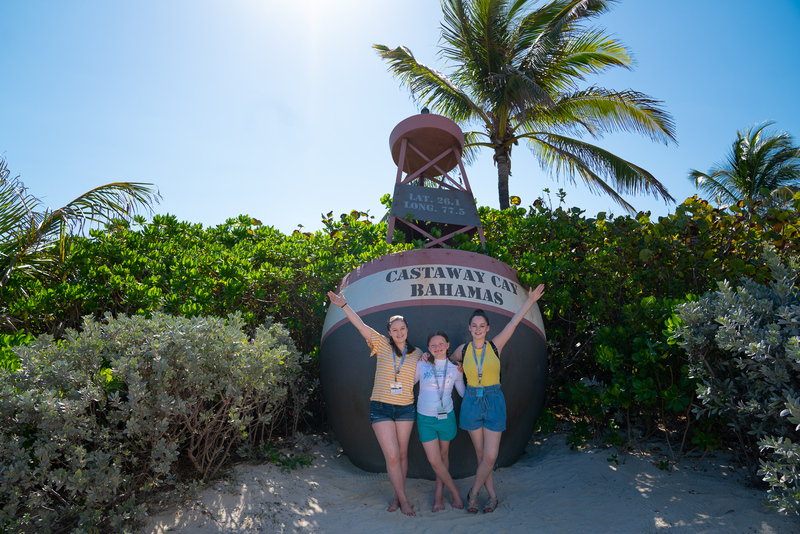 We had an excursion of sorts booked called the Castaway Cay Getaway Package. 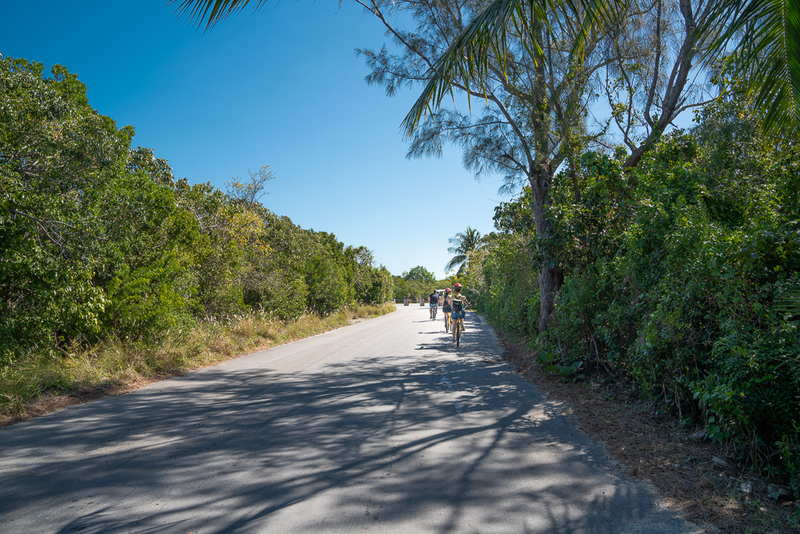 It included snorkeling, an inflatable tube to float and relax and a bike rental to ride around the island. This is a must do. All of it! There are also cabanas you can rent that looked like the place to relax. For lunch on the island, you could get back on the ship and eat there, or they host a huge BBQ. One waiter the night before put in a special request for us so that we had veggie burgers waiting for us. We sat with some friends, The Top Flight Family, and caught up on all the fun everyone was having. If you would rather not walk around the island, there is also a tram that continually is looping around. 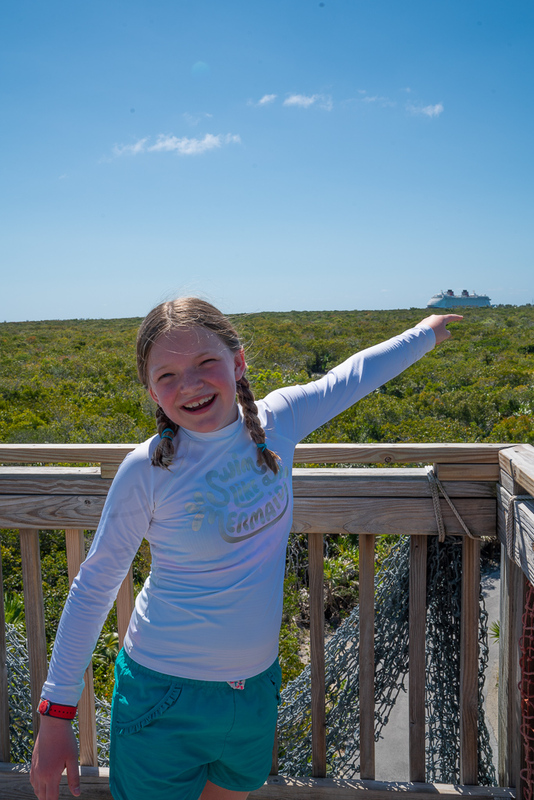 I'd say this was one of our favorite vacations ever… and the Disney Cruise Line experience made all the difference! We can't wait until our next one!